Thabiti Anyabwile- Is It “Goodbye Evangelicalism” or “We Evangelicals Join in Your Suffering”? This past Sunday I preached a message from the book of Job entitled “The Dark Night of the Soul: The Problem and the Blessings of Depression.” In this message, we examined the difficult and often neglected subject of depression in the life of believers. I showed our congregation that Job shows the classic signs in this book of experiencing anxiety and depression. In this blog post, I would like to extend that conversation to the problem of depression among Pastors. Specifically, I would like to offer some hope and help for Pastors who are serving the church but who feel trapped in depression. I understand this problem because I have struggled with depression throughout my life and have been serving in the ministry for over twenty years. For most of my ministry I have kept my depression a secret — fearful that it would disqualify me from carrying out the call of God on my life. But a few years ago, I began a journey that has lead me to understand that although depression presents several unique problems it also presents some unique blessings and opportunities. 80% feel the ministry has negatively affected their family. Obviously, this is one of the most pressing issues facing the clergy in America today. When I first read these statistics I was both relieved and surprised. Relieved because for the first time I realized that I was not alone in my struggle and surprised because I talk to Pastors daily and never realized so many were struggling. The problems created by depression are rather obvious. Pastors who battle with depression end up feeling isolated, lonely and discouraged. Often they end up quitting the ministry or worse yet stay in and grow more and more bitter. Over the past twenty years, I have met dozens of men who once felt the fire of God burning in their soul to preach the Word but who’ve grown despondent and jaded due to depression. The problems are obvious to everyone, but what we often fail to comprehend is that depression also offers some unique blessings. I first began to think about the unique blessings of depression a couple of years ago when I came across an article in The Atlantic magazine detailing Abraham Lincoln’s struggle with depression. In that article, Joshua Wolf Shenk discussed Lincoln’s lifelong and public battle with depression. As I read the article, I couldn’t help but think about how different things are today than they were in Lincoln’s day. If Lincoln were running today there would be no way he could get elected as a member of town council let alone as President of the United States. His battle with “melancholy” was far too public for him to be elected in our present political environment. But Lincoln, thankfully, lived in a different era — an era when depression was thought to be closely linked with genius. As Lincoln grew older, Shenk argues that he moved from fearing his melancholy to engaging with it and to eventually transcending it. 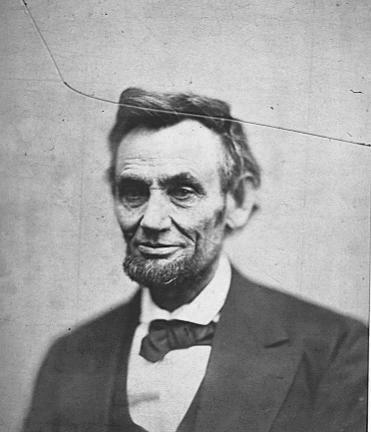 Shenk points out that due to his depression, Lincoln was able to see situations with more clarity than others — an phenomenon that researchers have labeled “depressive reality. This allowed him to come up with creative solutions to the problems of his day. In addition to these, however, Lincoln’s depression also produced within a sense of humility and determination. He was not afraid to fail and, in fact, expected to fail more often than he succeeded. Harriet Beecher Stowe compared him to a wire cable that sways in a storm but holds fast. As I was reading Shenk’s article a thought occurred to me. A light bulb went off in my head and it dawned on me that Lincoln would not have been perhaps the greatest President in the history of our nation if he had not been depressed. Theologically speaking, God has uniquely prepared this man’s personality and psyche for the time and place in which he lived. But then something even greater popped into my mind — God has made me just the way I am to serve Him. For years, I had felt embarrassed, ashamed and guilty because I struggle with depression but what if I had been looking at the issue all wrong? What if my depression was really a gift from God rather than a curse? I’ve been able to relate to those in my congregation that are also struggling with depression. I’ve been able to minister to other Pastors who are struggling with the same issue. Knowing and accepting that I struggle with anxiety and depression has helped me to balance my tendency to obsess on the worst possible outcome of any scenario. This has helped me to embrace the kind of creative thinking Lincoln experienced without focusing too much on the darkest possible outcome. If you are struggling with depression in the ministry let me offer you a couple of pieces of advice. First, the sooner you come to grips with it the better. Second, don’t give up. If you are hurting so bad that you’re experiencing suicidal thoughts or entertaining leaving the ministry please call someone and talk to them. There is hope. Third, study the issue of depression and learn as much as you can about it. The more you understand the unique problems and opportunities it presents the better off you’ll be. Finally, when the time is right share your struggle with others. Don’t do this before you are ready and before you are able to help to others but when the time is right don’t hesitate to share your struggle. WARNING: there will be some in your congregation who will criticize you for being so open but don’t let them discourage you from sharing. Some in your congregation might think they want Superman for a Pastor but what they really need is YOU. God has uniquely made you and placed you exactly where He wants you to be. Your depression is not a surprise to Him. He wants to use it to make an eternal different in your life and in the lives of the people you serve — so engage it and transcend it through the power of the Gospel.